Calculating the proper duct size for a home is important for proper air movement. If the size of the duct is not big enough, there will be too little air flow to heat and cool the house properly. You can determine the proper size of the duct in a home by calculating the Cubic Feet per Minute (CFM) of air flow. If the CFM corresponds to the size of duct in the home, then the proper size is being used. The size of duct being used determines the amount of air flow. Set the Kestrel Wind Meter to read "Feet per Minute." Follow the instructions for the wind meter to set the device correctly. Place the wind meter in front of the duct opening. Make a note of the Feet per Minute of air flow that is on the display, such as 150 FPM. Measure the width and height of the duct opening. Multiply the measurement of the height by the width to obtain the area. An example is 10 inches high by 12 inches long, for a result of 120 square inches. Divide 120 by 144 to convert the result to square feet. Measure the width of the duct opening to obtain the diameter. A typical diameter is 8 inches. Divide the measurement for the diameter of the duct by 2 to obtain the radius. Multiply the radius of the duct by itself. This is the calculation for the radius squared. Multiply the radius squared by PI or 3.1416 to calculate the area of the duct opening in inches. Divide the area of the duct opening by 144, which is the area of 1 square foot in inches. The result is the square footage of the duct opening. Multiply the square footage of the duct opening by 150 FPM. The result is the Cubic Feet per Minute of air flow for a square duct. Multiply the square footage of the round duct by 150 FPM. 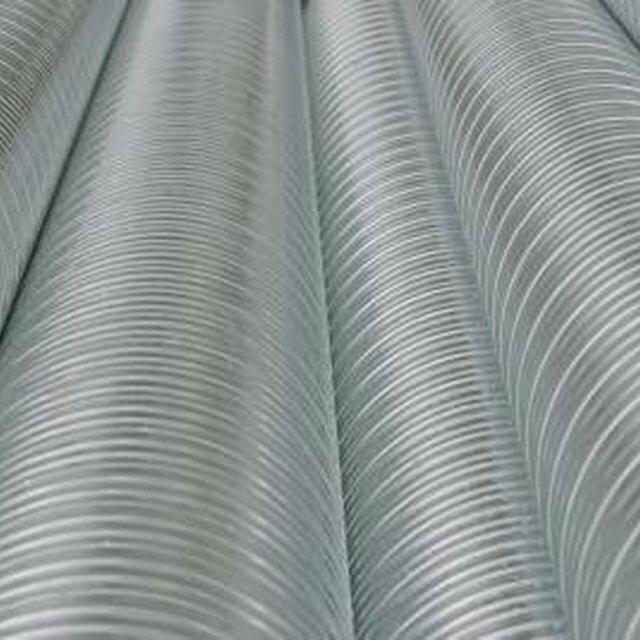 The result is the Cubic Feet per Minute or air flow for a round duct. Radiation Protection Systems: Converting Air Flow Velocity "V" to Cubic Feet per Minute "CFM"